No, this is not a plug-in hybrid. 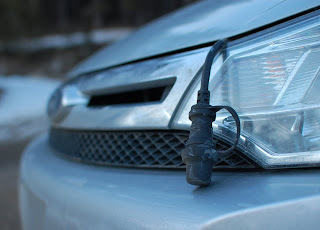 This is the plug for a block heater on this weekend's rental car. Fortunately, it was not nearly cold enough to require its use. Haven't seen one of those in a long time. Where were you renting this car? Yellowknife?